View Bible verses on desktop"
You really need not carry the hardcopy bible to access the bible. You are at liberty to have the softcopy version which is even detailed and comprehensive. 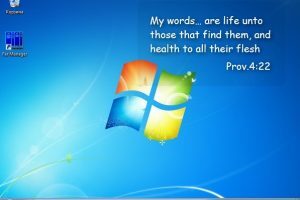 This is one application that gives you an option of accessing the bible from the comfort of your computer. You are able to download and install whichever version of the bible that you may wish. When you want to open a verse you will use the vibrant search function that makes access and navigation of keywords simple and easy. Moreover, on the interface, you will have access to the daily devotional verses to start your day. It comes with a drop-down menu with additional functionality which includes when you want to get a similar version but now in a different language. At the same time, you are also able to bookmark some of the pages for future reference. It also comes with vibrant visual elements that include various color versions that makes it easy and faster to handle and manage. This is a simple and intuitive application ideal for all despite the level of experience. All the testing function proves that it is a tool that gives you value for your time and money. 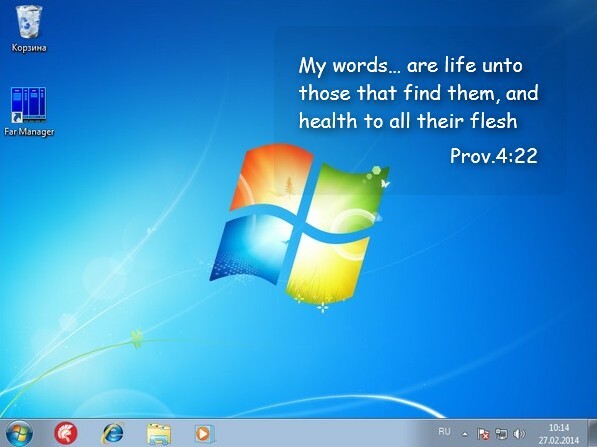 Bible Verse Desktop is licensed as freeware for PC or laptop with Windows 32 bit and 64 bit operating system. It is in religion & spirituality category and is available to all software users as a free download.